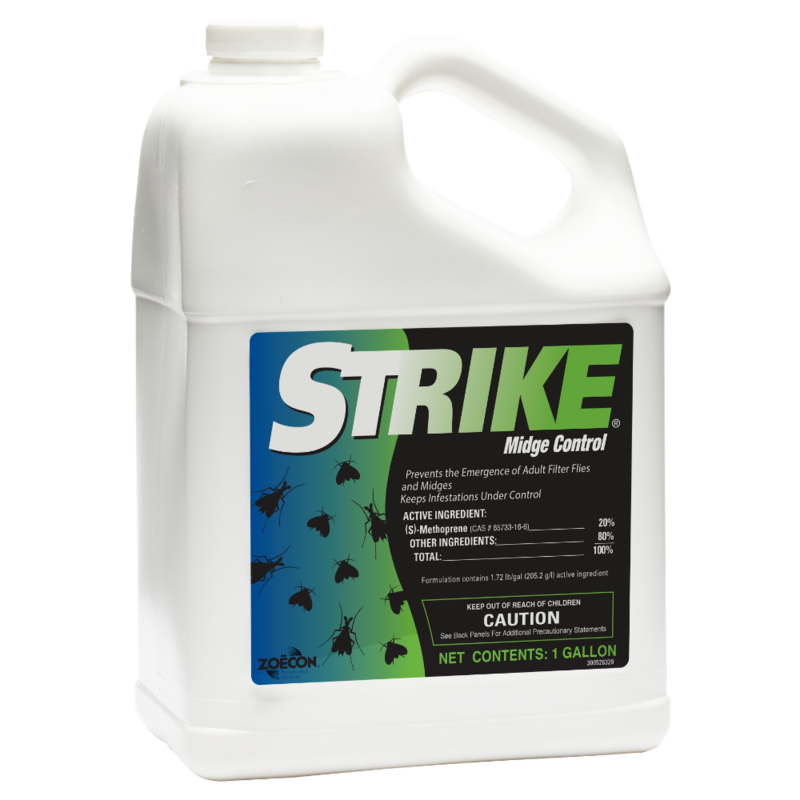 Strike® is a microencapsulated formulation that is capable of controlling midge and filter flies throughout an operation where wastewater or standing water is a factor. The active ingredient is protected and time released for the furthest downfield control in wastewater facilities and plants. This technology ensures that the active ingredient reaches all breeding sites and areas in need of treatment. Strike® is ideal for facilities experiencing chironomid midges in various stages and areas of the wastewater treatment process. "We learned about Strike® Liquid and that it was the only product approved by the EPA to control midge flies in our particular application. We have been using it successfully ever since."